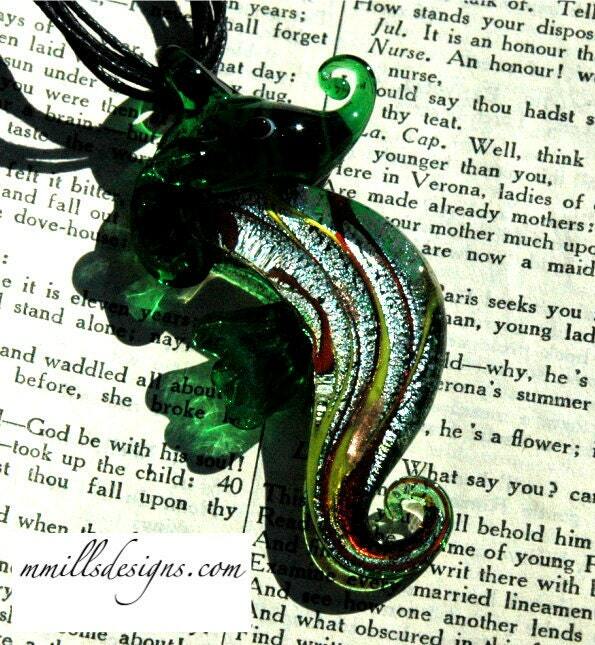 This adorable seahorse pendant has swirls of yellow, red, a hint of copper and a green and silver background. 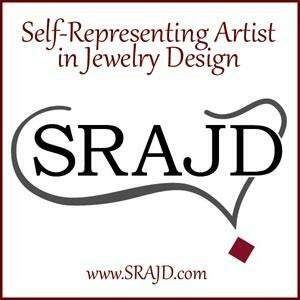 The pendant is paired up with a black waxed cotton cord necklace. 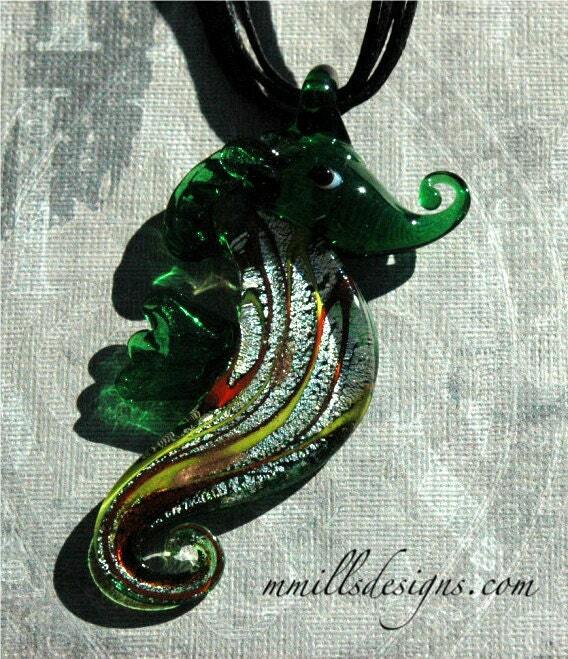 Necklace measures 18 1/2" to 20 1/2" with adjustable chain. 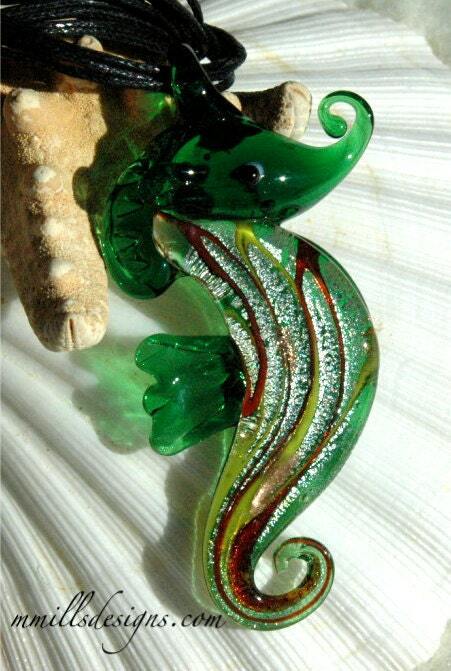 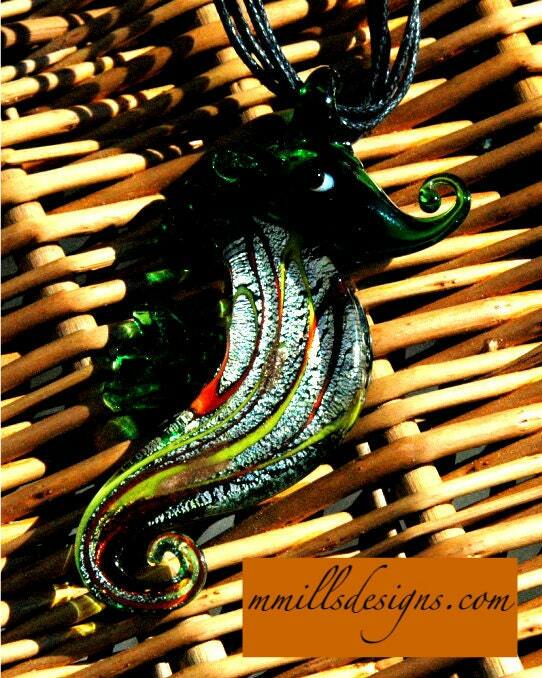 Seahorse pendant measures 3".